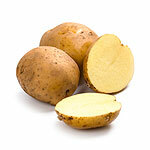 Everyone’s favorite starch source has hit the news, and an unusual finding has emerged. An important aspect of nutrition the world over, the stately potato is now believed to have the largest and most affordable source of potassium in the world. As fruits and vegetables rise in price, news like this is significant. Potassium is a critical electrolyte mineral heavily involved in many bodily processes. At a recent American Dietetic Association expo, researchers explained that potatoes are one of the best nutritional values in the produce department, providing significantly better nutritional value per dollar than most other raw vegetables. They beat out all veggies and fruit for the most inexpensive source of potassium. The study blended nutrient data from several large national studies, including a food prices database. Potatoes proved to be the lowest-cost source of dietary potassium, a nutrient identified by the 2010 Dietary Guidelines as lacking in the American diet. Federal dietary guidelines suggest we get 4,700 milligrams of potassium a day, which can be a challenge. But if we consider a potato to be a great source of potassium, this challenge no longer seems too large. Potatoes are part of a high-quality diet and are often the cornerstone for more vegetables on a dinner plate. Potatoes also provide more nutrients to the American people than most would believe. When they investigated further, the researchers found that people who ate the most potatoes (baked, boiled and roasted) had higher intakes of potassium and vitamin C and consumed more total vegetables in a day compared to those who did not eat potatoes. It is worth noting that the United States Potato Board funded the study, but numbers are numbers in the end. Nutrition science continues to support the starchy vegetable as part of a good diet. One medium-size (5.3-ounce) potato with skin carries 110 calories per serving, boasts more potassium (620 grams) than a banana, provides almost half the daily value of vitamin C (45%), and contains no fat, sodium or cholesterol. It is often what we add to potatoes that make them less healthy. That would be the sour cream, the salt, the butter. So leave those out, roast them in a little bit of health-boosting olive oil, sprinkle on some herbs, and enjoy the health benefits of the potato!